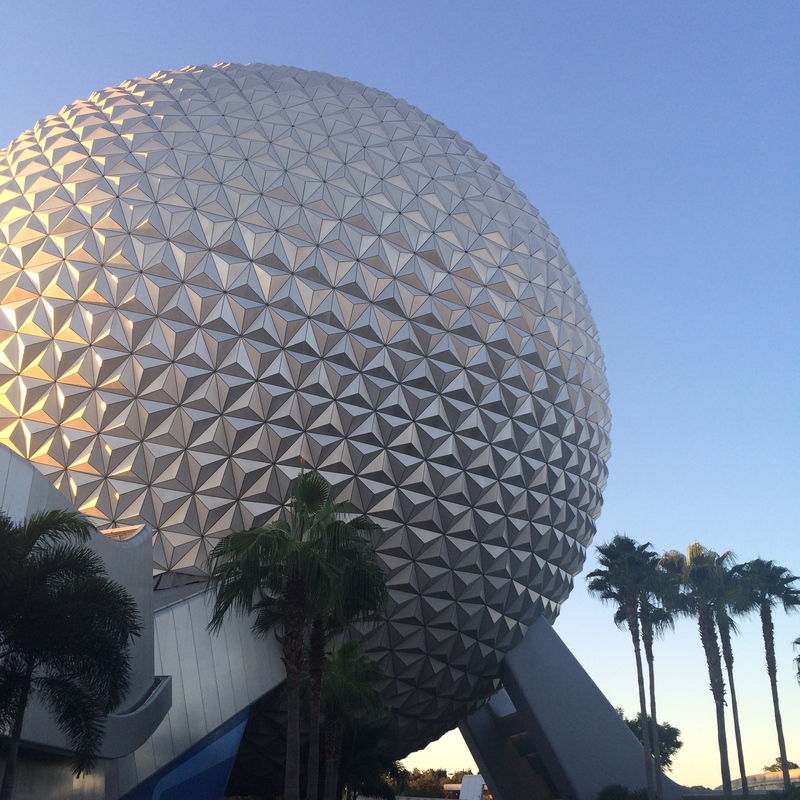 Have you ever wondered which Walt Disney World restaurants give you the most bang for your Disney Dining Plan buck? Wonder no longer as we discuss which restaurants we think are the best value for your dining plan credits! 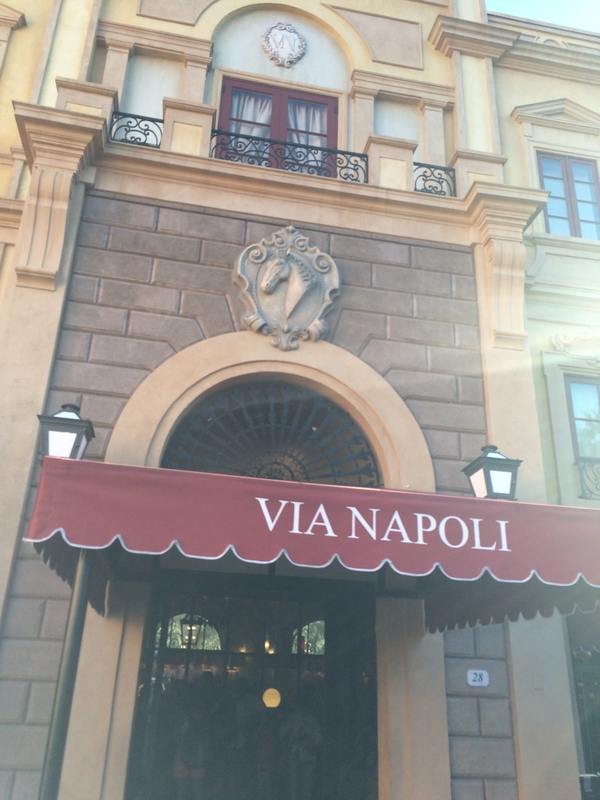 Located across the World Showcase Lagoon at the back of the Italy pavilion, Via Napoli is one of my very favorite sit down meals in all of Walt Disney World. This restaurant has fabulous ambiance, complete with an open kitchen where you can watch the Italian chefs prepare your pizzas in the wood fired oven. Because of the open nature of this restaurant it does at times get noisy, but I didn’t find that to be a big problem where my husband and I were seated this night. Very soon after we were sat our waiter asked if we’d prefer our sparkling or still, and were delivered a bottle of San Pellegrino mineral water to our table. A nice way to start our meal! On to the entrees. 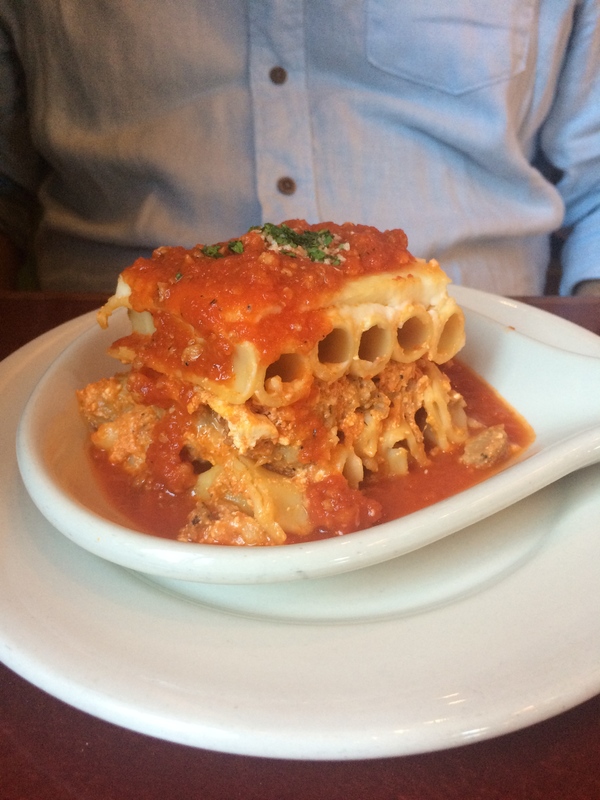 My husband ordered and devoured the Candele (“candle stick pasta, sausage ragu, polpettine meatballs, mozzarella, ricotta”). He rarely has a bad word to say about any meal, but he did seem to particularly enjoy this pasta dish! 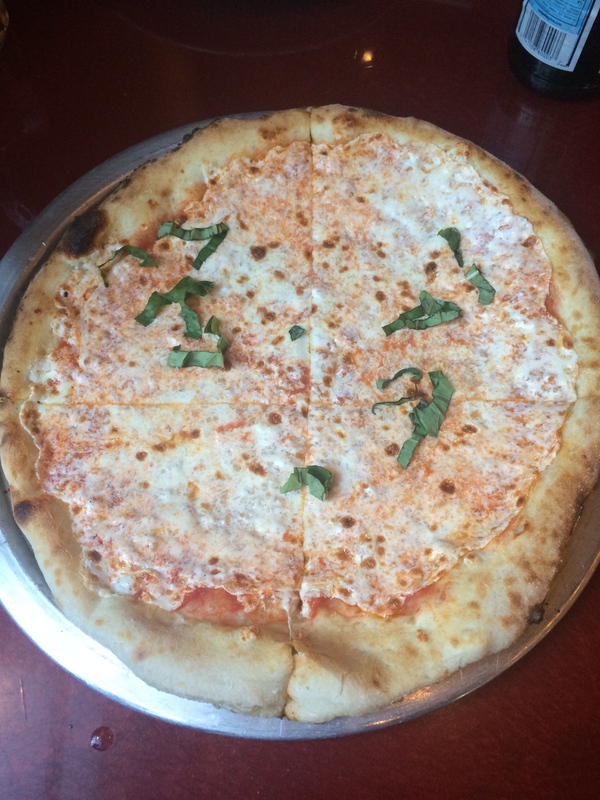 I opted for the margherita pizza, and it was worth every minute of uncomfort I had after the meal from eating WAY too much! This pizza really is something special. Rumor has it that water is brought in straight from Italy to make this pizza dough, for a taste that is as authentic as possible. Having had pizza in Venice, Italy, I have to say they are pretty darn close! I did not get to enjoy a dessert at Via Napoli this trip, but on a return visit I’m going to make it a priority to leave room for the Tiramisu. It will probably be the closest I get to a true Italian tiramisu in a long time! 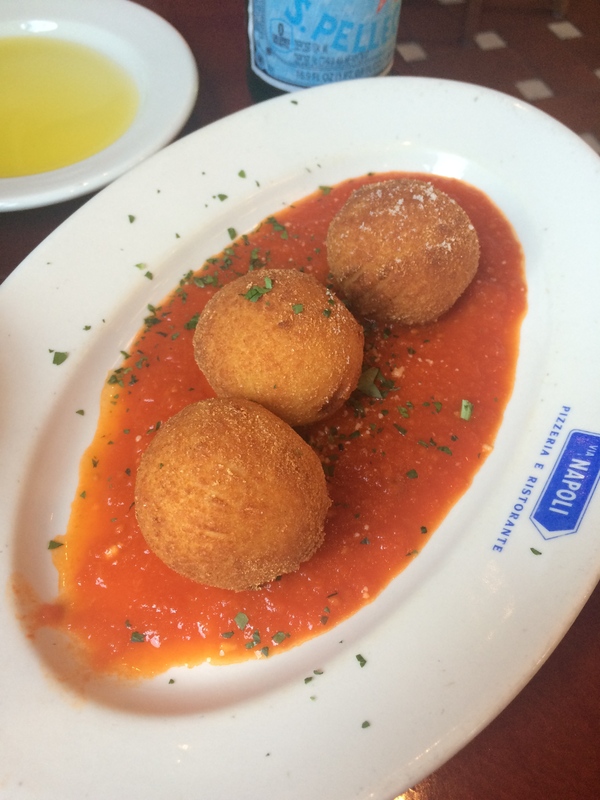 Have you been to Via Napoli? What did you order?